Gil attended Adirondack Community College from 1970- 1972. In 1972 Gil began working on a surveying crew and found the he really liked the profession. Between the years 1972 & 1979, Gil worked as a Survey Rodman/Instrument Man and Party Chief for a number of construction companies all over New York State. In 1980 he decided to change to Land Surveying instead of Construction Surveying. The change in focus has worked well. Gil obtained his New York State Professional Land Surveyor license in 1984. In 1985 Gil established, Gilbert VanGuilder Land Surveyor, PLLC, located in the Town of Clifton Park. Since 1985, Gil has taken pride in producing quality work along with a high rate of client satisfaction. 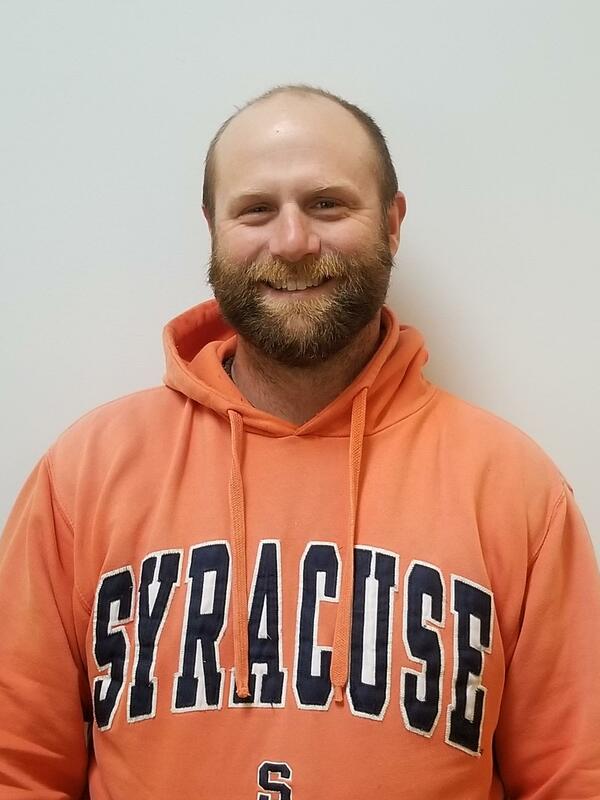 Kevin graduated from Paul Smiths College in 2007 with a Bachelor’s degree in Environmental Science/Natural Science and has been a member of NYSAPLS in association with Eastern (ENYSPLS) since 2007. Kevin obtained his Professional Land Surveying License and became a member of the PLLC in 2017. Kevin joined Gilbert VanGuilder Land Surveyor, PLLC in 2007 as a GPS Technician/ AutoCAD Drafter/ Wetland Technician and Environmental Technician. He has experience with Wetland delineation, N.Y.S.D.E.C. permitting, A.C.O.E. 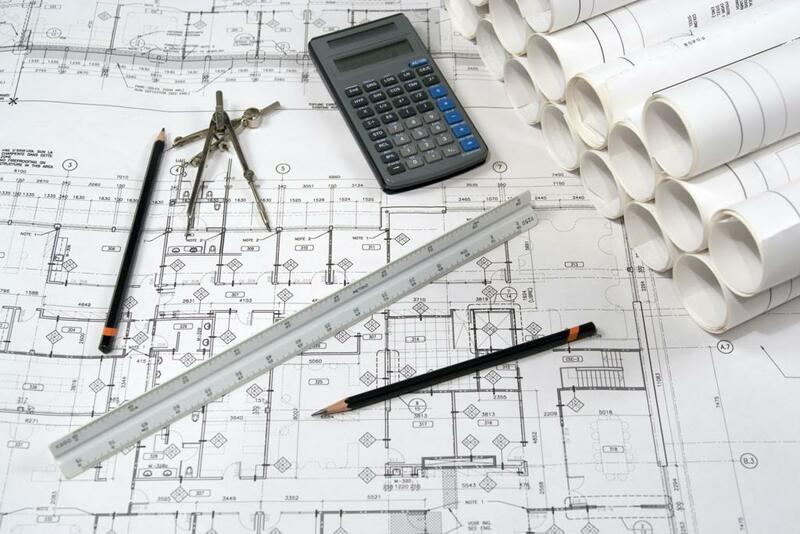 permitting, AutoCAD drafting, Trimble GPS data collection, Trimble GPS post-processing and data conversions. Kevin is very detail oriented and takes great pride in each project he works on. Mike originally joined the Gilbert VanGuilder Land Surveyor, PLLC team in 2005 as a rodman. Mike has experience in the field with robotic total stations, and various GPS systems. Mike is a hardworking, fast paced individual who always completes the job in an orderly and timely fashion. With, years of experience in the field, Mike’s knowledge and skill set helps make it possible for us to produce quality finished products. Mackenzie studied psychology at SUNY Cobleskill & Ashford University. Mackenzie joined our team in July of 2014. In the fall of 2015 Mackenzie began managing the book keeping and invoicing for the office. Mackenzie enjoys working as a member of the VanGuilder team, and feels that the friendly environment creates a great work atmosphere. Todd attended Hudson Valley Community College where he obtained his A.A.S. Civil Engineering Technology degree in 1987. After graduation and working in his desired field to gain experience, Todd became a Licensed Surveyor in 1998. Todd joined the team here at Gilbert VanGuilder Land Surveyor, PLLC in 2015 as a Professional Land Surveyor. Todd brings with him 20 years of experience in boundary surveying, topographic surveying, ALTA/ACSM Land Title Surveying, FEMA Certifications, Commercial/Residential Land Development, Monitoring Surveying and Project Management. Todd is a member of NYSAPLS in association with Eastern (ENYSLS) and the National Society of Professional Land Surveyors. Mike attended Hudson Valley Community College where he obtained his A.A.S. Business Administration Degree in 2006 and his A.A.S. Civil Engineering Degree in 2013. Mike joined the team here at Gilbert VanGuilder Land Surveyor, PLLC in 2016 as a member of the Field Crew. He brings with him experience in topographic surveying, high definition scanning and fathometer technology. 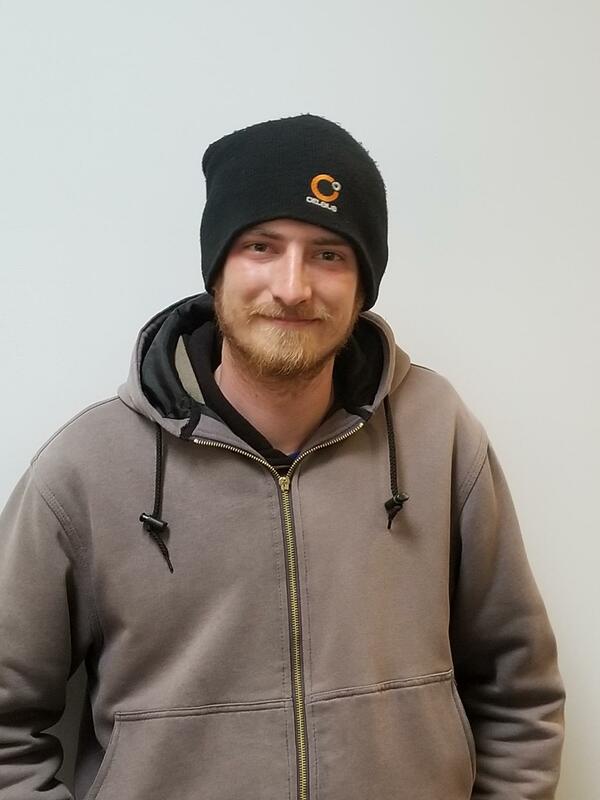 Mike is a certified ACI- concrete field testing technician (Grade 1) and a NETTCP- Soil / Aggregate Field Inspector as well as being certified in Confined Space Entry. Mike's wide range of knowledge and experience make him a values member of our Field Crew. Bob graduated from Hudson Valley Community College in 1987 with a A.A.S. degree in Construction Technology and has been a member of NYSAPLS in association with Eastern (ENYSPLS) since 1994. Bob joined Gilbert VanGuilder Land Surveyor, PLLC in 1987 as a rod person. Bob worked for our team until 2005, when he left for about a year and a half to gain additional experience. Bob re-joined the Gilbert VanGuilder Land Surveyor, PLLC team in 2006 and has been growing with us ever since. In 2009 Bob obtained his Professional Land Surveying License, at that point became the third Professional Licensed Land Surveyor on our team. In 2010 Bob was elected to the Eastern Board of Directors. Bob has been the Eastern Secretary since 2011. Bob is a hard working valued member of our team with experience in several areas such as: Construction layout and computations, Boundary Surveys both in the field and the analysis and boundary determination in the office, preparing legal descriptions for attorneys to use as part of a Deed, preparing applications for The Zoning Board of Appeals and/or Planning Boards. Bob became a member of the PLLC in 2015. Duane holds an A.A.S. Forestry Technology degree from the New York State Ranger School, completed in 1976. Duane became a Professional Surveyor in August, 1987. Duane joined Gilbert VanGuilder Land Surveyor, PLLC in 1985 as an on staff Licensed Surveyor. 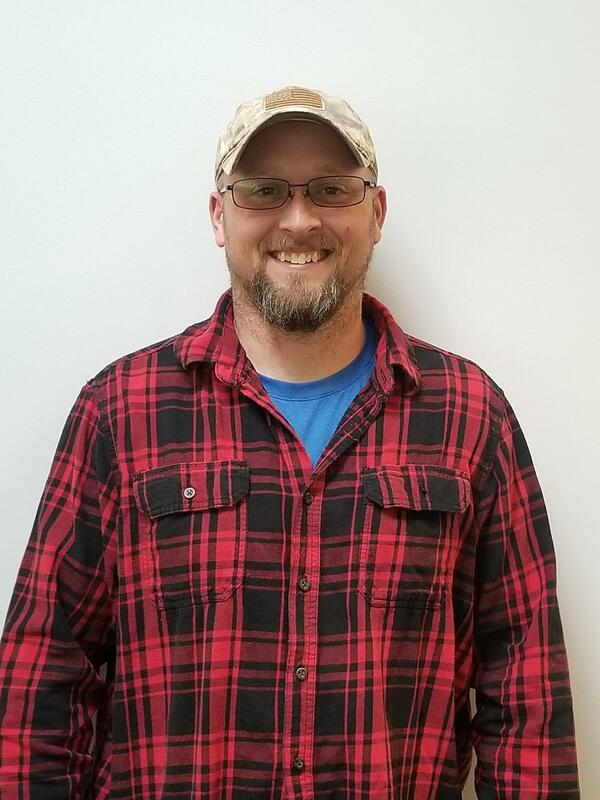 Duane is in charge of office production of various projects including boundary surveys, topographic surveys, construction stake – outs, wetland delineation, wetland permitting and wetland enforcement actions. Duane has a wide range of surveying experience in boundary and topographic surveys as well as construction stakeouts for developers, engineers, architects, and municipalities. Duane is a member of the N.Y.S. Association of Professional Land Surveyors in association with Eastern (ENYSLS). Joe holds an A.A.S. in Visual Communication Technology:Graphic Arts/Printing, an A.A.S. in Natural Resource Conservation from Fulton Montgomery Community College as well as an A.S. in Wilderness Recreation Leadership from North Country Community College. Joe joind us here at Gilbert VanGuilder Land Surveyor from 2006-2008 and has rejoined us in 2017 as a member of our Field Crew. Joe brings a wide range of experience and a keen eye for attention to detail to this team. Jackie attended Fulton/Montgomery Community College, and joined our team at Gilbert VanGuilder Land Surveyor, PLLC in 2018 as a member of the Wetlands Department. As a member of the Wetland Department Jackie performs wetland delineations to determine the limits of wetlands as defined by the Army Corps of Engineers and/or the New York State Department of Environmental Conservation. Jackie also designs, constructs and monitors wetland mitigation areas as well as conducts habitat studies for threatened/endangered species. Jackie's love for the outdoors and the enviornment as well as her attention to detail, make her a great addition to our Wetlands Department. Sean holds an Associates in Arts, Humanity and Social Sciences as well as an Associates in Science, Wilderness Recreation Leadership from North Country Comminity College. He also holds an Associates of Applies Science, Forest Technology from SUNY -ESF Ranger School. Sean joined the team here at Gilbert VanGuilder Land Surveyor, PLLC in 2017 as a member of the Field Crew. He brings with him several years of experience with field data collection, aerial photogrammetry, field data collection with fathometer as well as a working knowledge of AutoCAD software. 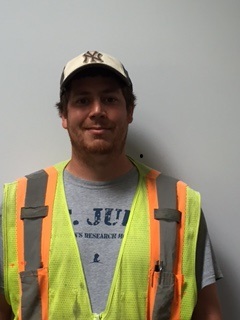 Sean's years of experience and knowledge in the surveying field make him a valued member of our Field Crew. Taylor holds an A.A.S. in Surveying Technologies, a Bachelor of Science in Natural Resource Management and Policy ( minor in Geographic Information Systems) from Paul Smith's College. Taylor joined the team here at Gilbert VanGuilder Land Surveyor, PLLC in 2017 as a member of the Field Crew. He has experience in the field operating a Total Station as well as hands on experience as a surveying technician. Taylor's strong work ethic and knowledgeable background makes him a valued member of our Field Crew.